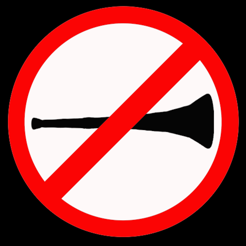 This handy app will remove most of the noise from a football horn (or "Vuvuzela") while you're watching sports on TV. 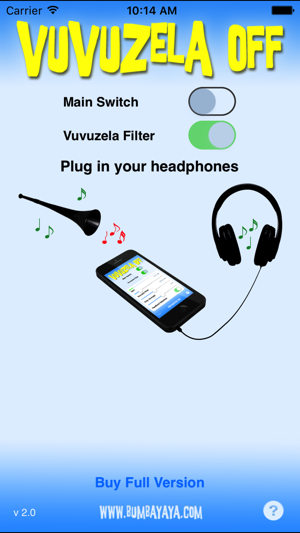 Simply connect a pair of headphones to your iPhone (or iPad), start Vuvuzela Off and switch on the filter. Then, point the microphone of your iPhone toward your TV. 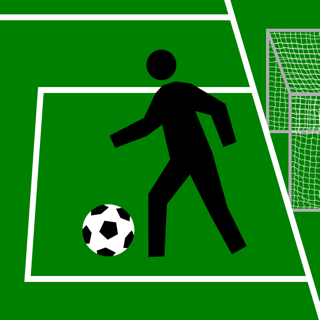 Vuvuzela Off will filter most of the noise, and will forward everything else to your headphones. 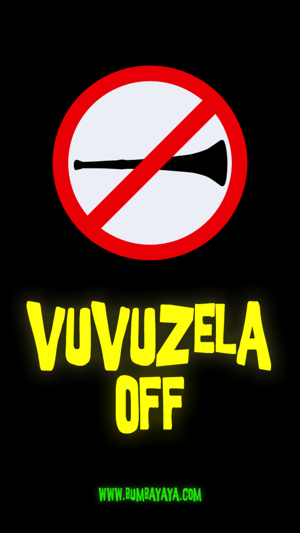 Vuvuzela Off uses digital filtering techniques which are much more effective than "anti-noise" phase inverting approaches. Works best with ordinary, or closed headphones without integrated microphone. Or, if you have the right cables, you can directly connect the TV set to the audio input of the iPhone and "loop" the sound directly through the device. Includes extended controls for gain, pitch and filter strength so you can fine-tune the filter depending on your preferences. Also includes feedback loop detection with automatic gain reduction. Vuvuzela Off will run for one minute to let you test the filter effect. 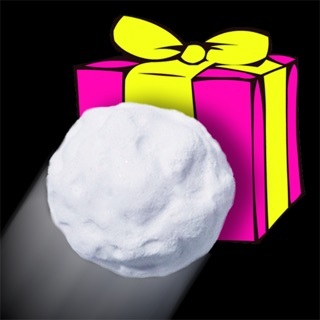 You can then upgrade to the full version with one easy in-app purchase and enjoy unlimited filtering immediately. This thing actually works- tried it with my TV set and it makes a big difference. 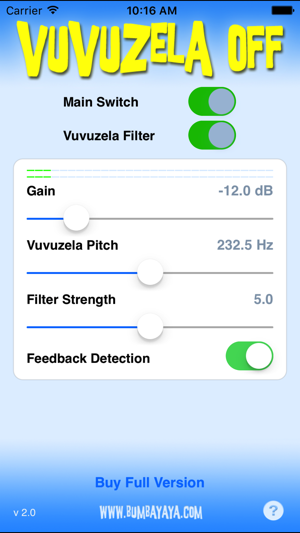 I've tried other Vuvuzela filtering apps - most only make additional noise, not less. Others don't let me control how much they filter. This app gives me control to fine tune the filtering, and it does exactly what it's supposed to do. I also liked that I could try it out before deciding whether I would buy it! Great idea which works well! What a cool idea and it actually really works! This app filters the noise right out, and with the extended filtering controls it's the best filter app out there in my opinion.